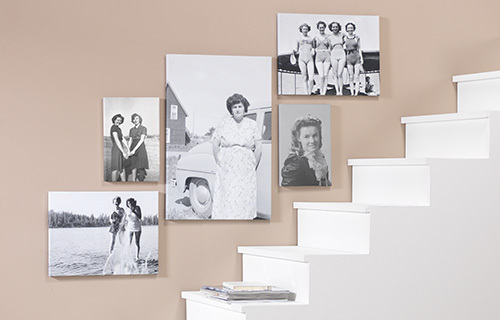 Printed and mounted over a sturdy wooden frame, the real canvas will transform your favorite pictures into a unique piece of art. 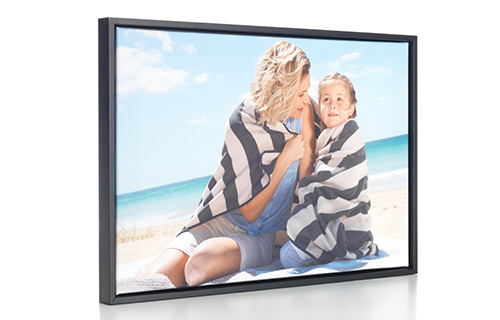 Choose from a variety of formats; now also available in extra wide landscape sizes from 20×60cm to 40×120cm. Processed on a 12 color printer, you will receive a very impressive print. 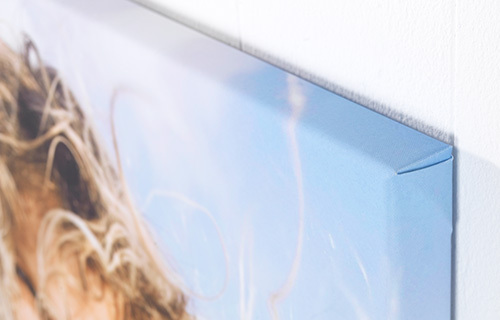 Hint: Your photo canvas is mounted over a wooden frame, requiring 3 inch margin. Please avoid important picture elements in the area to be folded over the frame. Printed on genuine canvas and carefully mounted over a sturdy wooden frame. 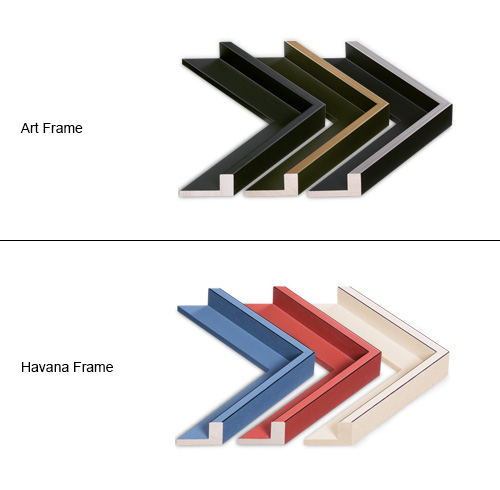 Selected sizes are also available with decorative floating frame. 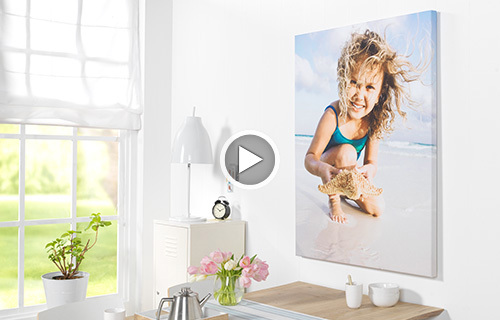 With our multi panel series you can easily create customized and personalized works of art. 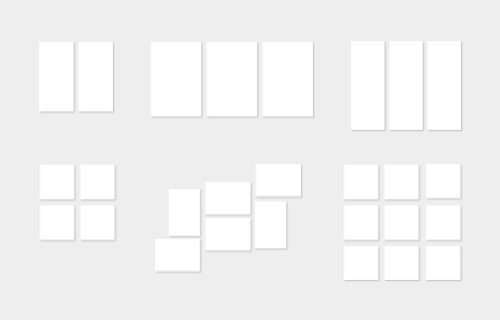 Your picture extends over several items, such as in a triptych on three screens. The individual parts hang then with 3cm distance from each other in order to emphasize the special character. 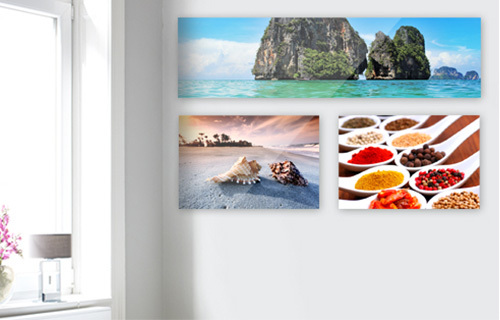 Printed on real canvas and stretched on a sturdy wooden frame, your four walls the ultimate "highlight" for friends, relatives and acquaintances. Choose between the noble model "type" in the colors black, black and gold and black and silver or the modern context "Havana Floaters" in the colors blue, red or cream. 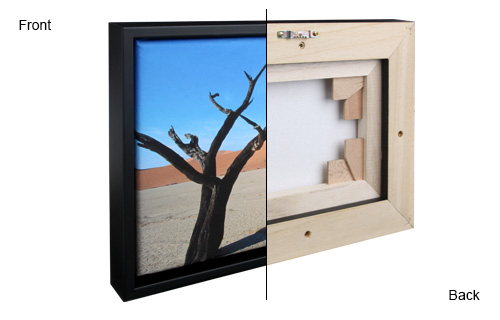 For each photo canvas in the standard formats, we offer decorative shadow frame! Its name refers, therefore, the shadow gap picture frame that the image of the front loaded into the shadow frame while the photo frame strip down a gap is left, the shadow. Thus the image is not covered by the border, nothing of the representation is lost and also the "3-D" effect for images is retained on a stretcher. The narrower the shadow, the more closed the impression of the relationship between image and frame.